So, when I saw that Nickelodeon licensed a few fun games revolving around the person who lives in a pineapple under the sea – I couldn’t resist. 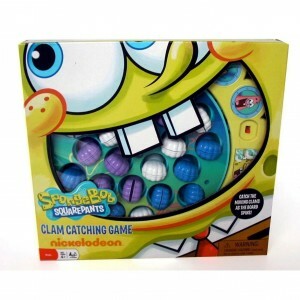 Check out the Sponge Bob Squarepants Clam Catching Game. Your family can go fishing for clam shells together. 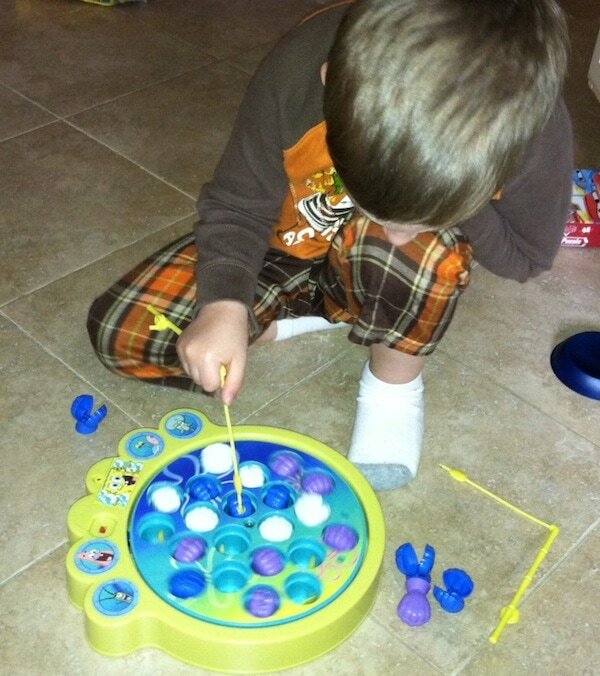 It’s perfect for kids 4 and up – but Liam is still 3 and is able to play along. I like to play games that I know Liam will be able to win. This game works well for both my children and is fun for parents too. 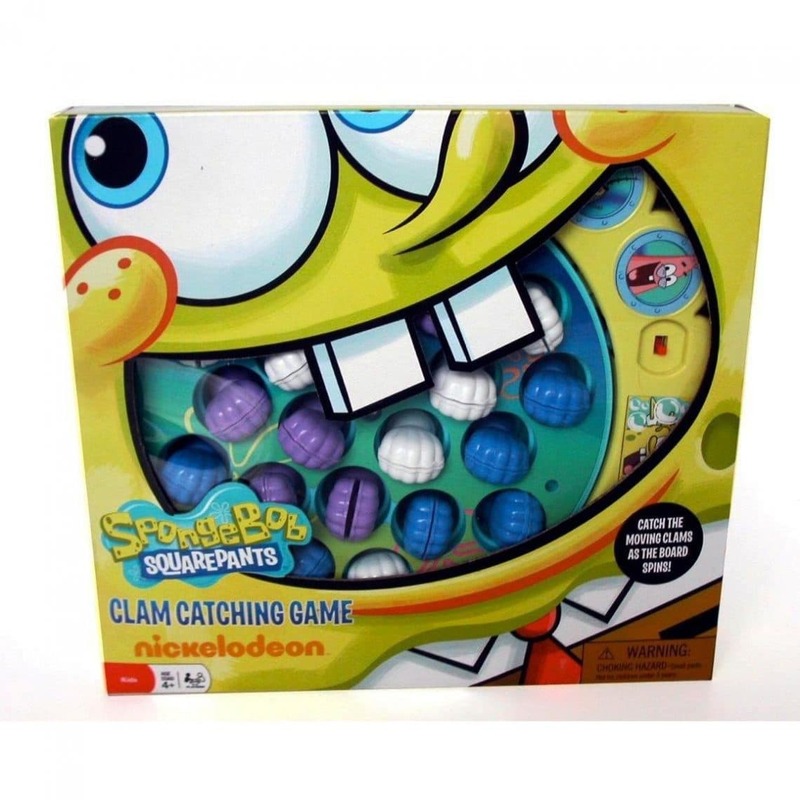 Click here for more info on the Sponge Bob Squarepants Clam Catching Game . My kids love to play this. This comment is for the Queen Anne’s Revenge LEGO Playset contest.